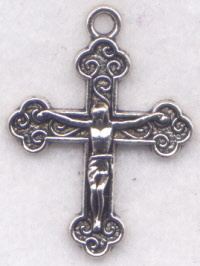 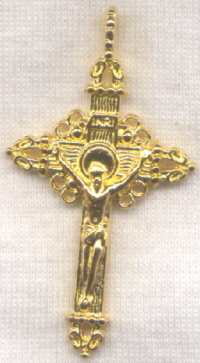 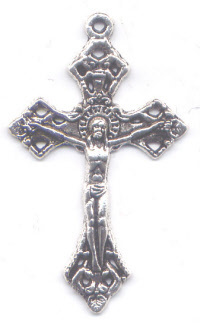 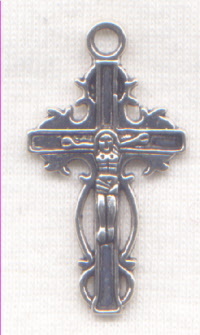 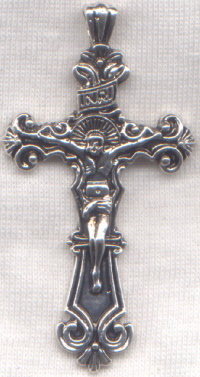 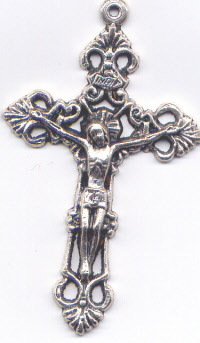 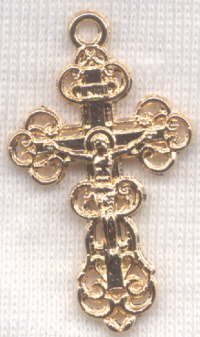 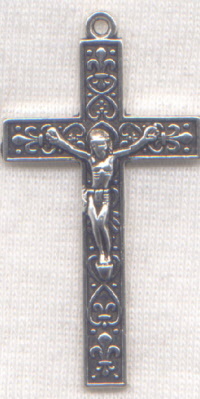 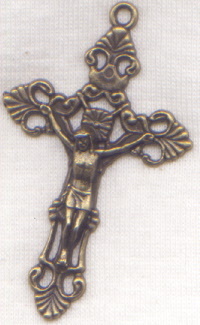 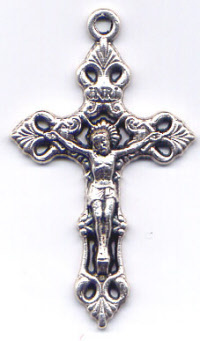 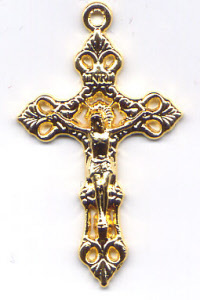 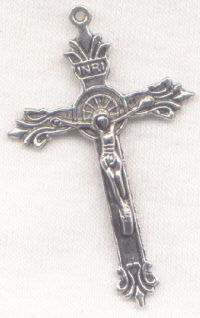 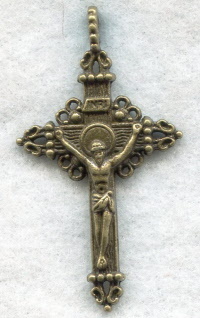 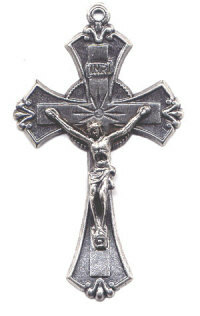 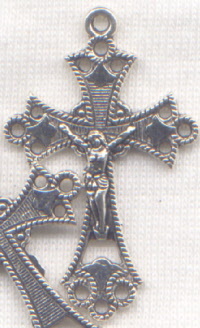 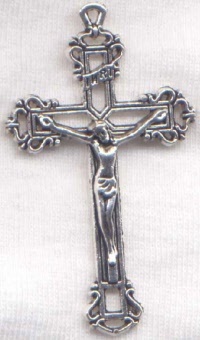 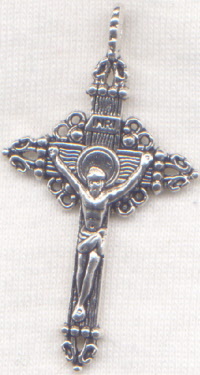 3 per pkg 1 1/2"
3 per pkg 2 3/8"
Nice little crucifix with Mayan-style geometric design detail. 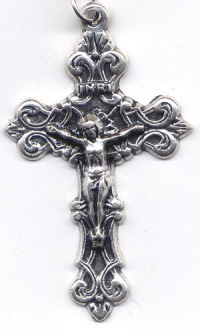 Sturdy! 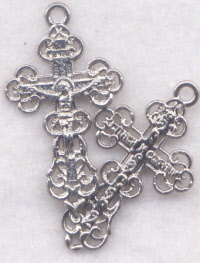 Great for small beads! 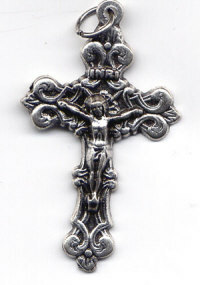 Gorgeous openwork design in a sturdy large crucifix! 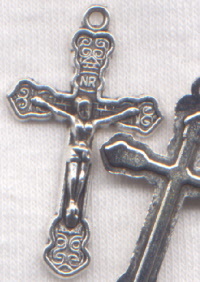 Beautiful details! 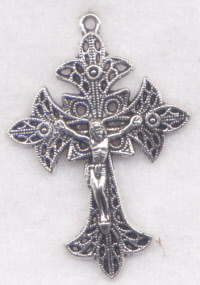 3 per pkg 1 7/8"
Fancy lightweight . 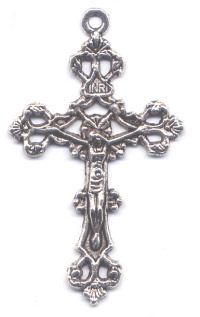 Made in Italy Back in stock!